We have collected a few recipes that use only one bowl to create so you can forget about all those dirty dishes and simply focus on the yumminess of the desserts that you are creating. Hand picked yumminess, every source linked make sure to check out their detailed recipes! We all love dessert but sometimes we simply don’t have the time to make them or we prefer not to dirty up all those dishes and have to clean them later. 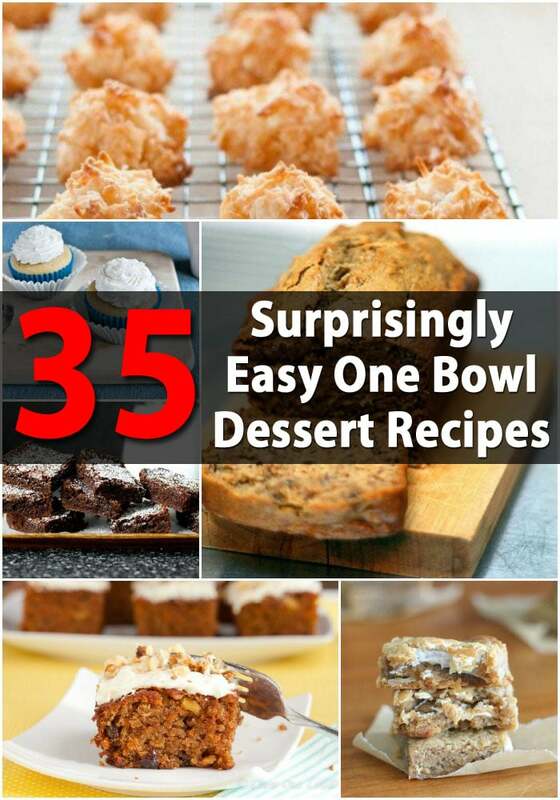 Well, what about desserts that only take a few minutes and only use one bowl? Some of these can be mixed and baked in the same dish – making them perfect for busy evenings when you don’t have time to mix a lot of ingredients or wash a lot of dishes. You just mix them, bake them and enjoy them. We all need some relaxation time now and again. These easy and delectable desserts give you something sweet and something ease, the best of both worlds and you get them all without having to dirty up a sink full of dishes. 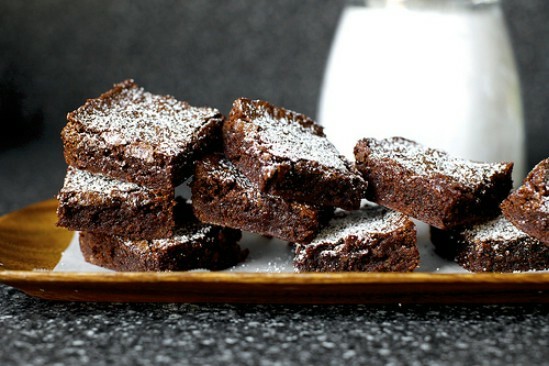 With just one bowl you can create luscious chocolate brownies. These take little time to mix and because you only need the one bowl, they take little time to clean up. They are baked on parchment paper inside a baking pan so cleaning the pan is easy, too. 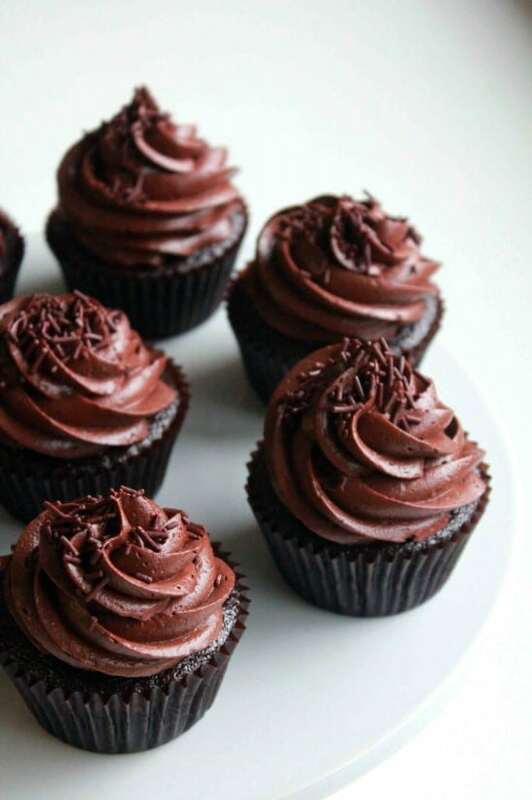 They contain melted chocolate which makes them moist and most of the prep can be done in the microwave. 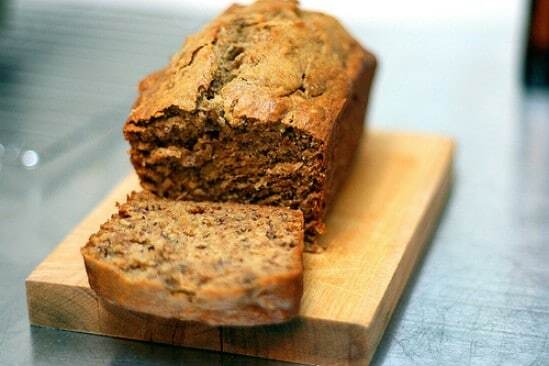 Banana bread is a great fall snack and this one is easy to make. You don’t even need a mixer. Just mash your bananas, add the other ingredients in the same bowl and then bake. The combination of bananas, cinnamon and a little bourbon if you want, makes this banana bread a must for holiday desserts and it is virtually fool-proof so even if you have never made banana bread before, this own bowl recipe is sure to turn out perfect. 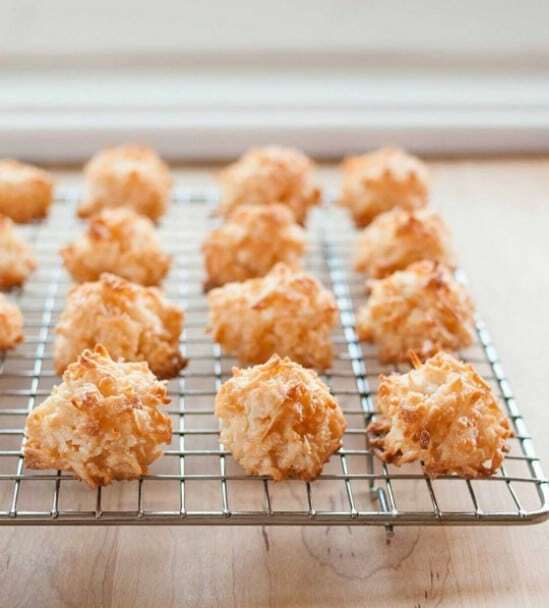 Who doesn’t just absolutely love macaroons, especially when they take little time and use few dishes? You can toast the coconut if you want or use it raw, either way the family is sure to love these little yummy treats. They are very easy and fast to make and they will keep in an airtight container in the fridge for up to a week. Remember fluffernutter? 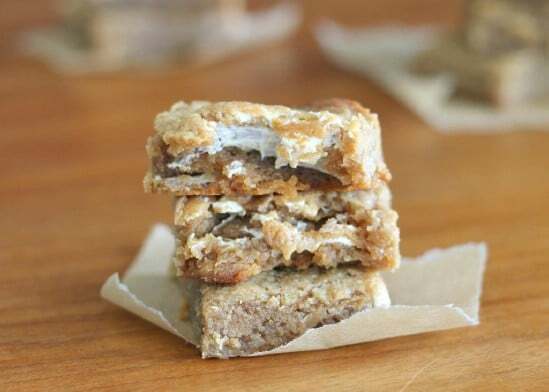 These yummy bars have all the goodness that is fluffernutter in an easy to make dessert. It combines the delicious taste of peanut butter with marshmallow fluff. 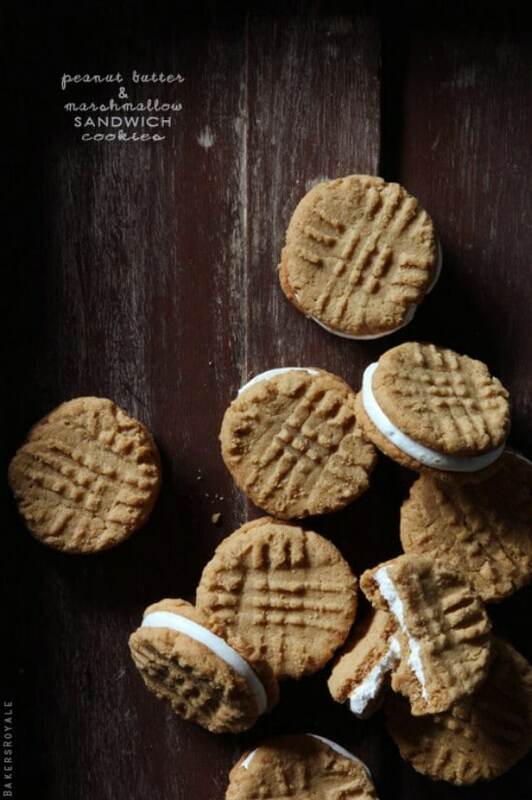 The peanut butter gives it a cookie texture and the marshmallow fluff makes it absolutely delicious. And, it only takes about 5 minutes to mix it all up – with just the one bowl. 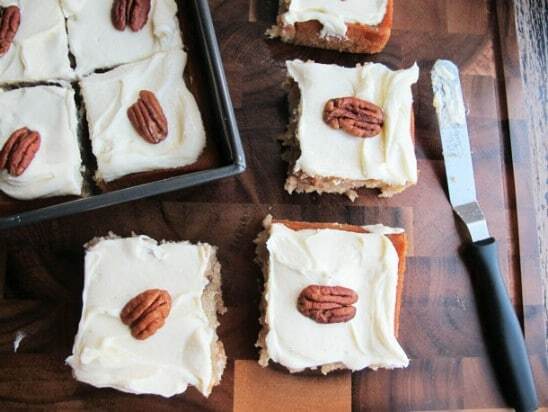 Carrot cake with cream cheese frosting is a great dessert but making them from scratch can take forever. Well, there is a great recipe that takes very little time and lets you mix everything up in just one bowl. Best of all, this cake actually contains grated carrots so you can get your kids to eat their vegetables without them even knowing it. 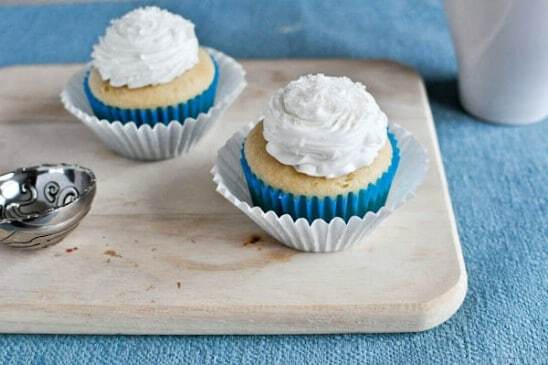 If you have a special occasion coming up and you want to make just a couple of vanilla cupcakes, this is the perfect recipe. You don’t need a mixer, you don’t have to cream anything, you just need one bowl and one spoon. You can even decorate each one differently if you want to make your special occasion extra special. Just mix the ingredients and divide equally between two cupcake liners. 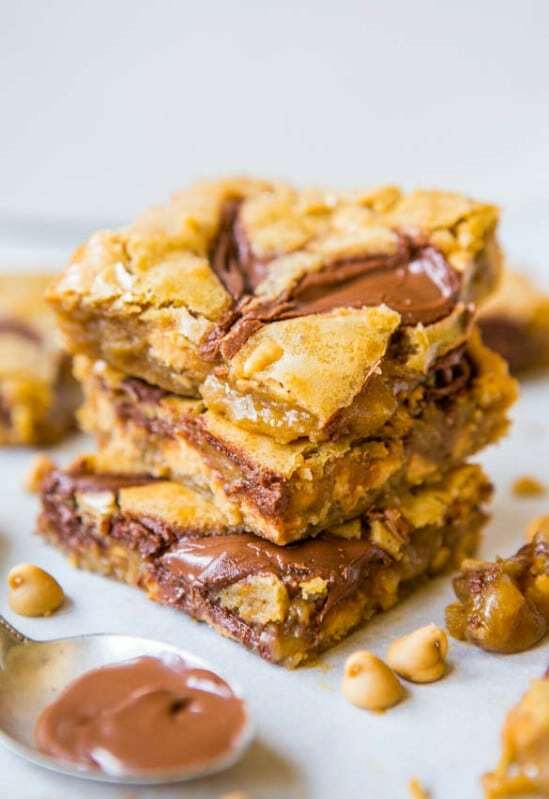 Nutella itself is a delicious treat and you can use it to make Blondies that have the yummy taste of Nutella combined with the great taste of peanut butter chips. You can substitute chocolate chips if you want. 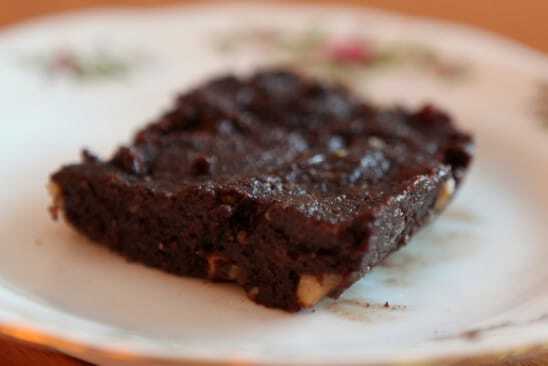 These yummy brownies take just 30 minutes or less to prepare from start to finish and the swirls of Nutella give them a delicious chocolate hazelnut taste. 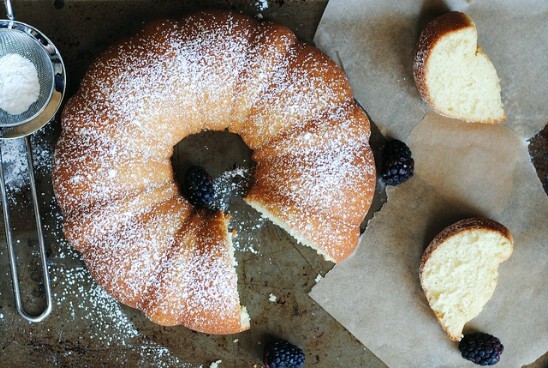 In just one bowl, you can create a delicious bundt cake that your entire family is sure to love. Note that you can experiment with this recipe and add different flavors if you want. It calls for vanilla but you can substitute almond or lemon extract to give it a completely new taste. Using room temperature eggs is the trick to creating the perfect vanilla bean bundt cake and you can keep this in an airtight container for several days. Gluten free foods are essential for those who have certain digestive disorders. These peanut butter cookies do not contain flour and they take only four different ingredients. You can make them from start to finish in just one bowl and they take just 20 minutes including the marshmallow frosting that makes them so delicious. 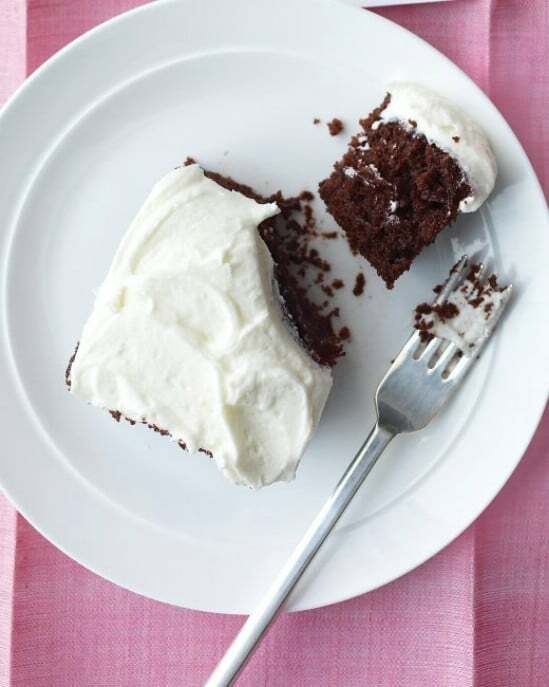 Yummy chocolate cupcakes with buttercream frosting are a great dessert choice. This recipe can be made with just one bowl and while they are several ingredients to add, the prep time is amazingly short. You just add the ingredients into your bowl, in the right order of course, mix and then transfer to cupcake liners. Finish them off with homemade buttercream frosting and you have a dessert that is perfect for any occasion. It’s fall so apples are really in season. 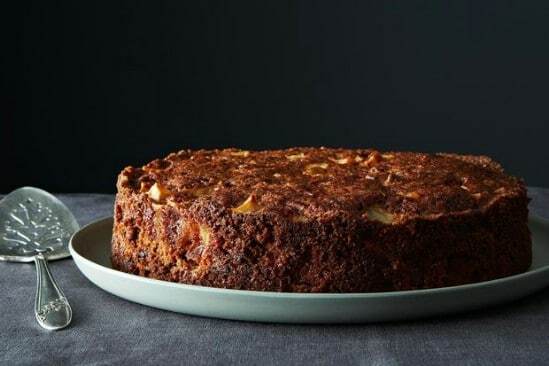 If you have an apple tree – or a favorite place to buy your apples – this apple cake is the perfect dessert choice. It stays fresh and moist for days thanks to the chunks of apples inside and you can add powdered sugar or a nice glaze on top when it finishes baking. This is a great cake to eat cold or warm. 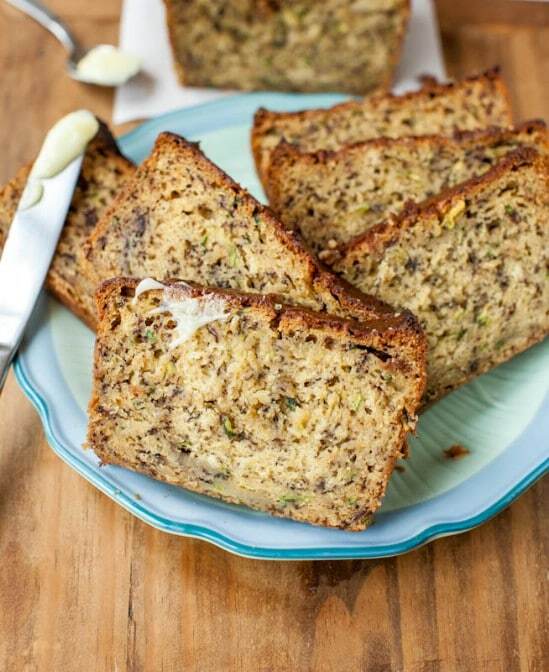 Zucchini bread is a favorite of many and this banana bread recipe with zucchini is moist and so easy to make. It contains pudding, yogurt and a few other ingredients that make it one of the moistest breads in the world. You just have to mix all the ingredients in one bowl with a whisk. There is no creaming or mixer needed so it’s a fast and easy recipe that will make you the hit of the season. 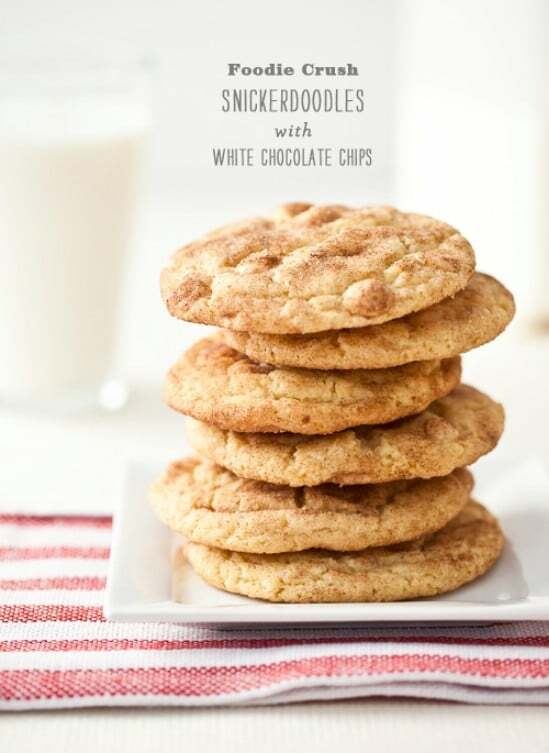 Need an easy, one bowl snickerdoodle recipe? We have it. These luscious cookies contain white chocolate which makes them yummy and they are so very easy to make. The cinnamon in snickerdoodles is what makes them so delicious and the fact that you can mix the entire recipe in one bowl is what makes it a favorite. Lime zest, yogurt and a scrumptious blackberry sauce make this one bowl dessert a hit. You could easily substitute lemon for the lime and blueberry for the sauce or make your own combinations of flavors. The best thing about this cake is that it takes very little time to get into the oven and you don’t dirty up a lot of dishes, although it will taste like you did. 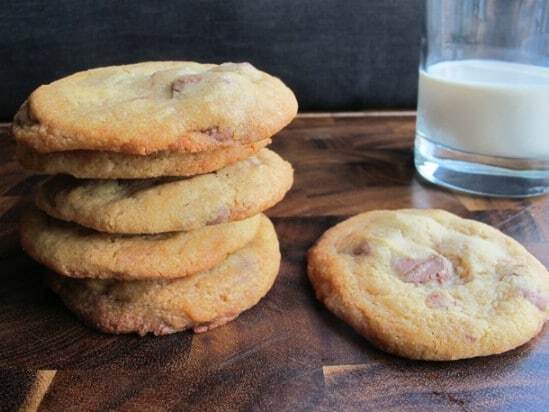 With a prep time of just 15 minutes and cooking time of 30 minutes, this may not seem like an easy recipe but these yummy malted milk chocolate cookies can be made in just own bowl so they definitely make the easy dessert list. You just mix the ingredients in order into a bowl and then roll out the dough and bake. 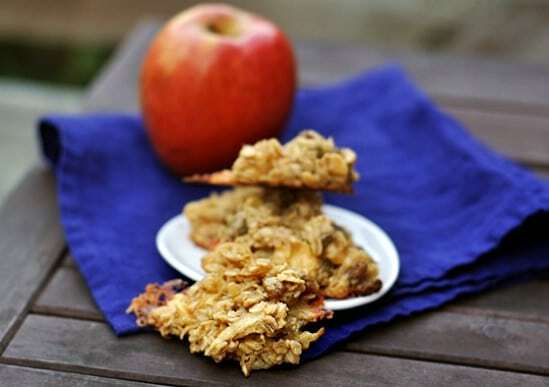 Apples and gouda cheese in a cookie? 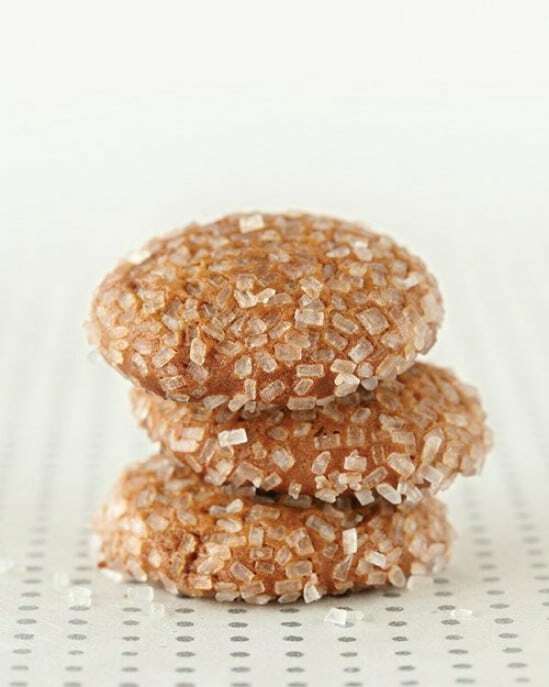 These cookies are chewy, sweet and very good for you. The apples give them a chewy and tangy flavor while the cheese melts around the edges, making them a very unique and very tasty dessert. These are perfect to take along for outdoor adventures and because they have oatmeal, you could even eat them for breakfast, if they last that long. Thanksgiving is coming up quickly and what better way to get started on your baking than with a one bowl pumpkin bread? 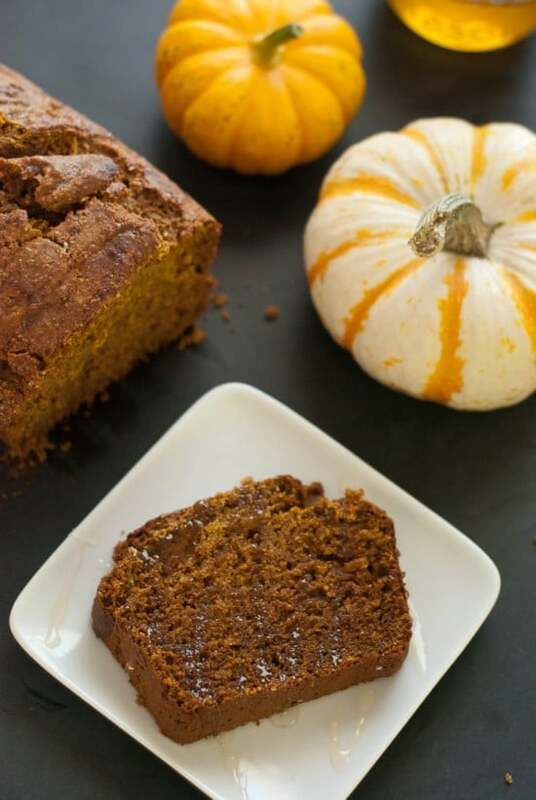 This recipe combines the healthy qualities of whole wheat along with the yummy taste of honey to create a scrumptious pumpkin bread that is quick and easy to make. It also has coconut oil so it is really healthy, although people will never believe that you saved time making it. If you are going to have a collection of one bowl desserts, chocolate cake simply has to be one of them. 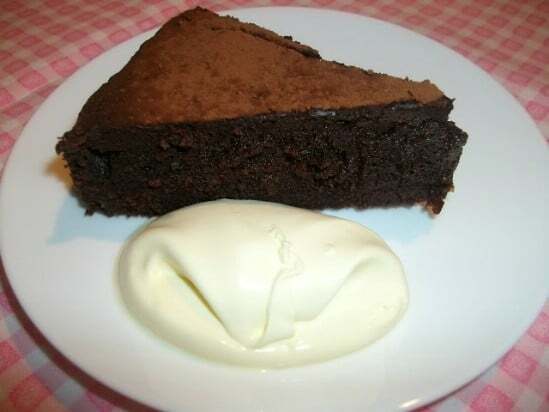 This easy to make chocolate cake uses buttermilk to give it a rich texture and taste. It only takes a few minutes to mix all of the ingredients which makes it a very fast cake as well. Just add a can of chocolate frosting or make your own to ice it when it finishes baking. Bananas give this cake a wonderfully moist texture and the brown sugar and chocolate makes it seem like a cookie. This is an easy one bowl dessert that you actually mix and bake in the same dish. You need an iron skillet and you just mix everything together and then bake in the same pan. 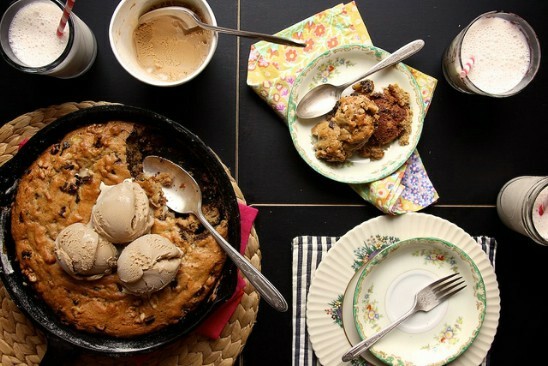 Imagine making a yummy dessert using just one dish from start to finish. Note that if you don’t have an iron skillet, you can still bake this in a traditional baking dish, you just have to dirty two dishes. 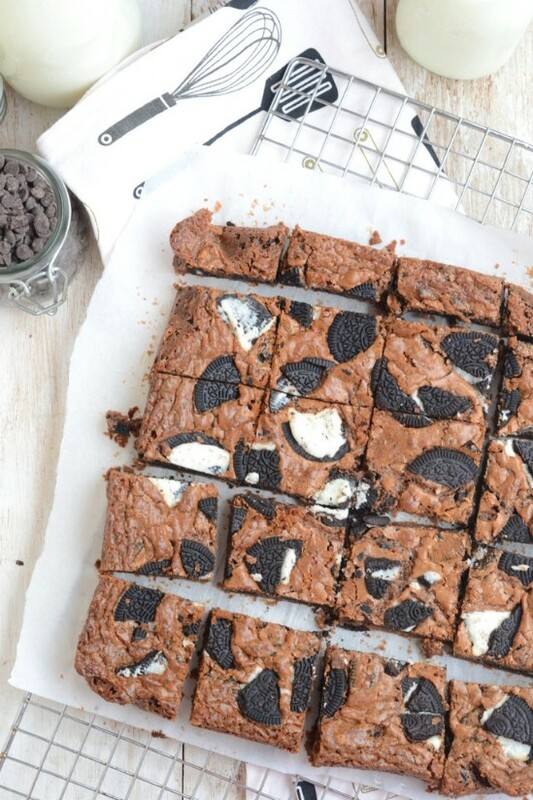 These one bowl Oreo brownies are sure to be a kids’ favorite. What could possibly be better than chocolate brownies with Oreo cookies inside? This is a really easy recipe that uses just one bowl and helps you to create a dessert that your entire family will love. It uses just a few ingredients and the end result is absolutely amazing. Molasses cookies are all the rage during fall and this particular recipe only requires one bowl to make. You just mix everything together and whisk, you don’t need a mixer. Then just roll the drops into balls, chill and bake. This is a great recipe for upcoming fall activities because the cookies are yummy and they are really easy to make. The molasses and cinnamon give them an autumn appeal that makes them perfect for upcoming Halloween parties or other activities. This yummy apple yogurt cake has a streak of cinnamon sugar that makes it crumbly and delicious and the best part is that you only need one bowl. 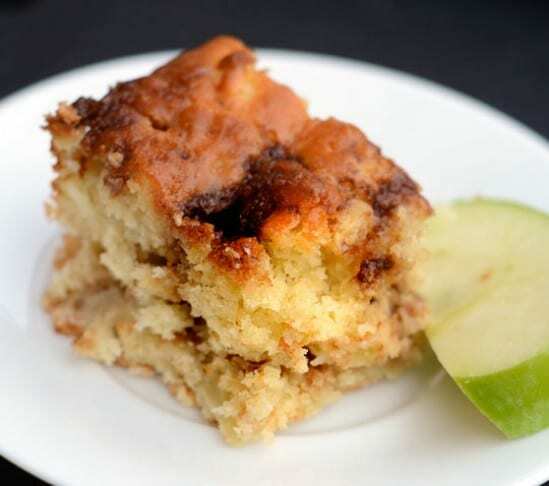 This is a very moist cake with a crumbly center that contains cinnamon, juicy bites of apples and other ingredients that make it delectable. 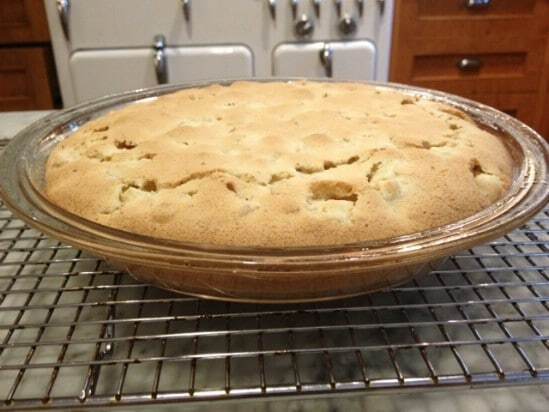 The cake will keep in an airtight container for several days and actually gets moister because of the apples inside. 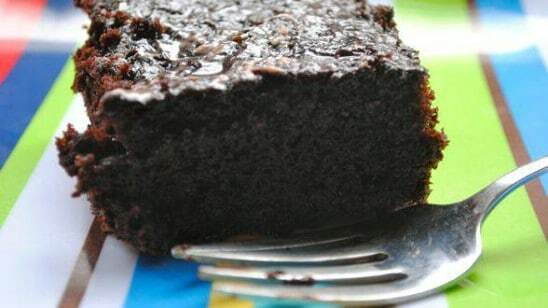 This is the perfect chocolate cake for busy days. The cleanup is minimal and it uses very few ingredients compared to other cakes. Plus, there’s just the one bowl so it takes literally less than five minutes for cleanup. 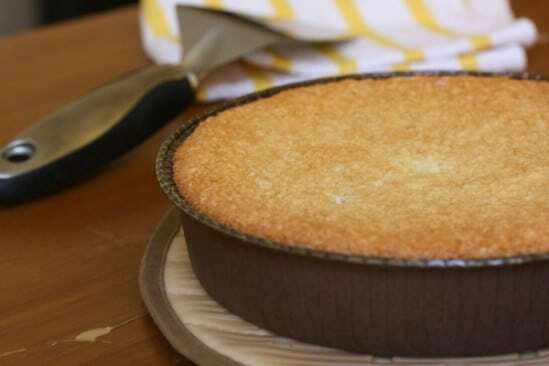 You actually mix the ingredients in the pan that you bake the cake in so this is literally a one bowl cake that is moist and delicious and will quickly become your favorite. With the holidays approaching, pumpkin cake recipes are a must and those that offer easy cleanup are the best. 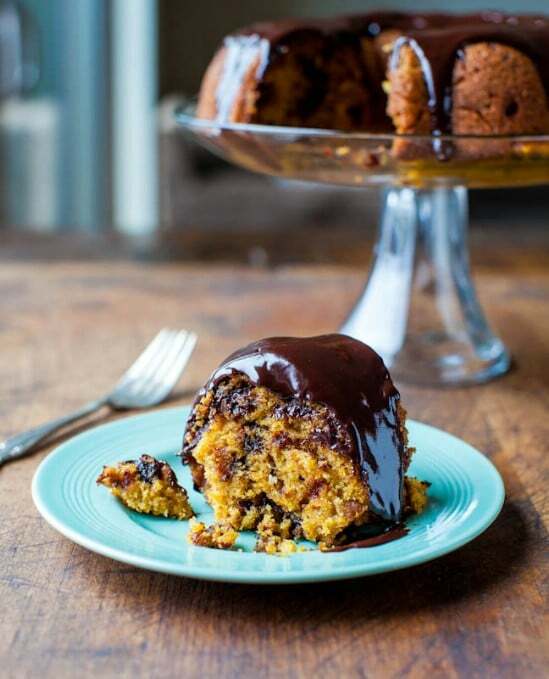 This pumpkin chocolate chip bundt cake has a chocolate ganache glaze that is out of this world. It has so much chocolate that it is sure to please the chocolate lovers in your family and because you only need one bowl, you will love the quick and easy cleanup. This delicious lemon almond cake is as easy to make as it is delicious. It has very few ingredients and they all get mixed together in the same bowl. 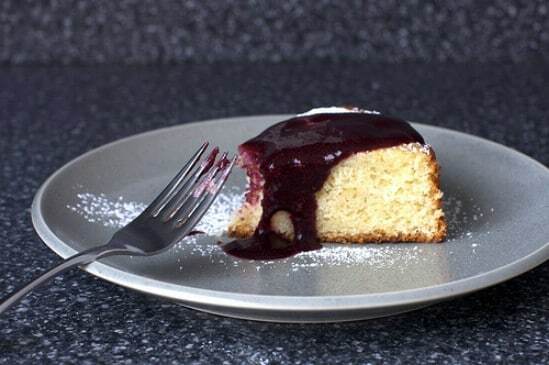 Although it tastes buttery, it does not contain butter so it is really good for you compared to other cakes and it is a light dessert that won’t weigh you down after a heavy meal. The fact that it is easy and quick to make is just icing on the cake. No, this cake doesn’t use actual hummingbirds but it does contain a great selection of bananas, pecans and pineapples to give it a delicious taste and texture. It is really easy because you only need one bowl to mix everything together and the cream cheese frosting makes it a great cake for any occasion. 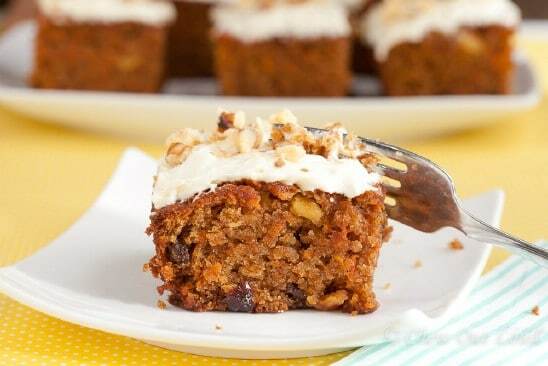 Note that using ripe bananas, those with a little brown speckling, makes it much easier to mix and prepare this cake. This luscious orange cake uses splenda instead of sugar so it’s better for you and it is really easy because it takes only one bowl to prepare. The glaze is an orange syrup made from Splenda and orange juice so if you love the taste of orange, you will simply adore this cake. Apple pie is always a hit and this one is a one bowl wonder. It has a crust that forms on its own while the pie is baking and it uses no butter, so it is very light. In fact, there are only 150 calories per slice so this is the perfect one bowl dessert for those of you watching your weight. You just can’t have too many chocolate cake recipes, particularly when they only need one bowl to prepare. This is a dense and fudgy cake that has loads of chocolate and is served dusted with cocoa. 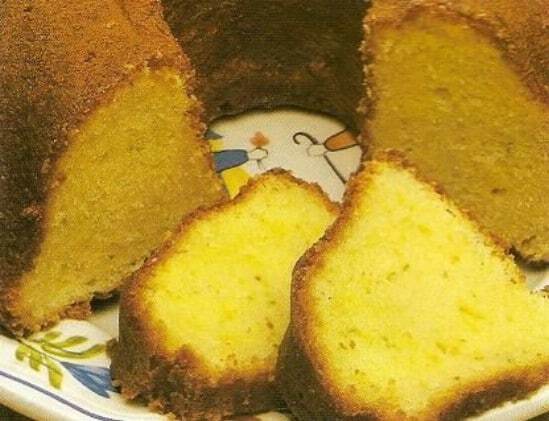 The cake has a texture that is sort of like pound cake but is much easier to make. Raw brownies? Absolutely and these only need one bowl so they are great for many reasons. 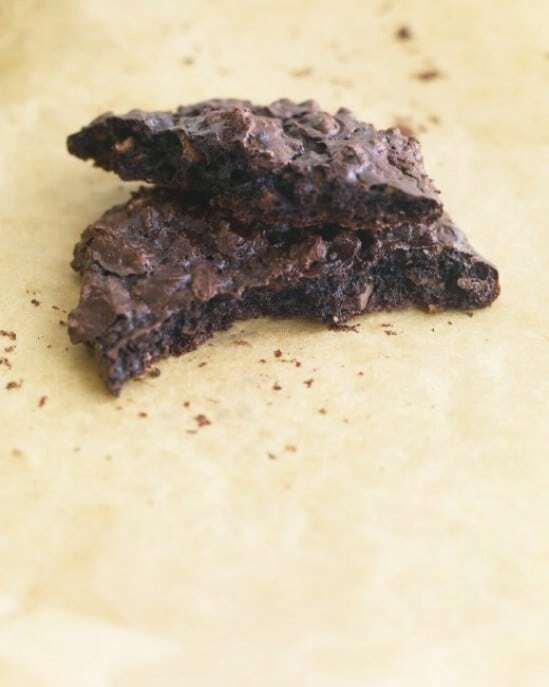 Don’t worry about the eggs in this batter because these raw brownies don’t use eggs. You just mix nuts, cocoa, dried cherries, water and a few other ingredients together in a bowl, press down and cut into squares. This is a really easy and fast recipe and it keeps for 5 days in the fridge or 2 weeks in the freezer. 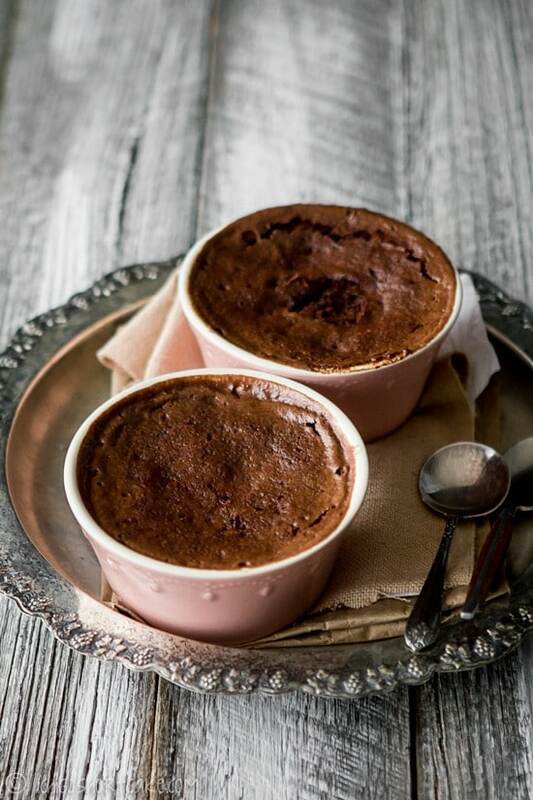 You can use microwavable mugs to create this scrumptious and easy dessert. You just mix the ingredients in a bowl, fill the mugs and then microwave. If you aren’t really a fan of Nutella, you can substitute peanut butter and get a cake that is sort of like a Reese’s Cup. We all need a recipe that is quick, easy and uses just one bowl. Well, this one can be baked in the same mug that you mix it in and the best part is that it cooks in the microwave. You just mix the ingredients together in a mug, pop it in the microwave and in about a minute you will have a delicious cake. What could possibly be better than that? This chocolate cake doesn’t use just one bowl. In fact, it doesn’t use a bowl at all. You just mix the ingredients together and then bake it in the same pan. By poking holes in the dry mixture, you get a place to add the wet ingredients and although it doesn’t sound like it would work, it does. 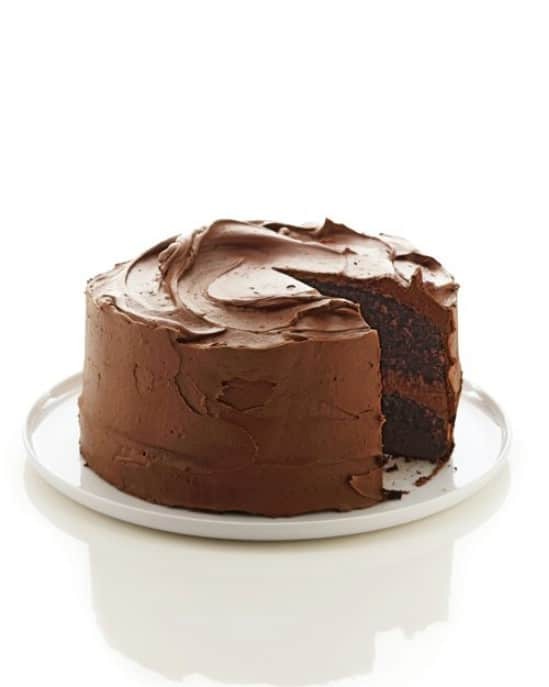 The cake is moist and yummy and so easy that you may replace your favorite chocolate cake mix with this one. 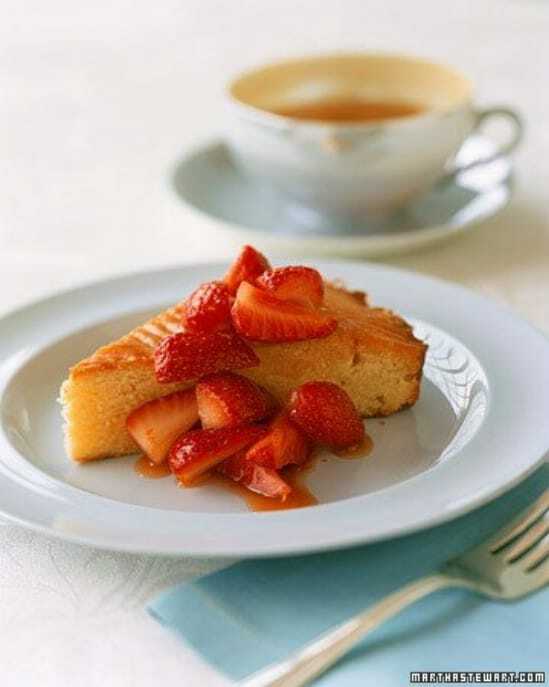 This buttery cake has a texture that resembles shortbread and pairs great with coffee so if you want a morning cake, this is a great choice. You just need one bowl and a few minutes to mix the ingredients and there are many choices for toppings. Note that this one does have to bake for about 50 minutes but because the cleanup is so easy, you won’t mind the extra baking time.